Lauren Maynard sent in this one. "This picture was taken after Teal Sound's grand finals performance in Denver. The four of us were best friends over the summer. 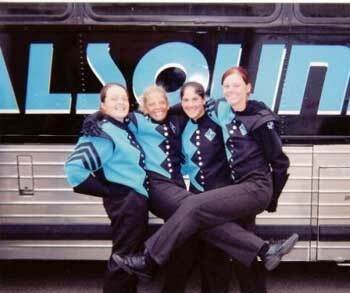 From left to right is CJ (contra), Lindsay (mellophone), me (soprano) and Jenni (mellophone)."